W.S. 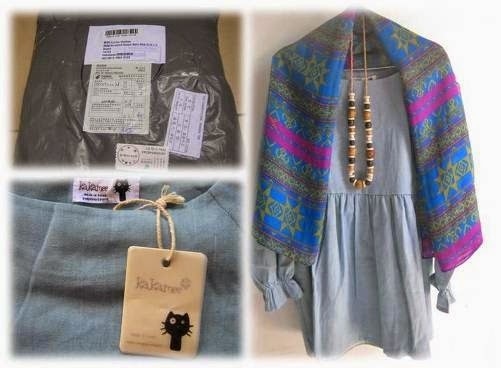 Dear, an online boutique store, contacted me in mid-December 2014 for a blog cooperation offer. I’ve written and shared the shop review here. The store allowed me to choose a piece of cloth -within a certain price range- which I’d like to try and then I write my honest opinion about it. The package arrived in almost two weeks (Jan 9, 2015). For a free shipping service, I think it’s a good one. The item was packaged tightly in plastic bags so that I obtained my cloth in safe and sound. Once I unwrapped the package, I was surprised to notice that the real dress looked a lot like the images I saw on the store website. Unfortunately, I wasn’t able to take outdoor shots; hopefully the captured indoor photos still can show the dress nicely. I’ve no problem with the name at all as I like the dress. Based on the product description, the material is cotton. I have no good knowledge on different fabrics, so I can’t tell you about its precise cotton type. The fabric is a kind of rather thick and less soft one. Since I live in a tropical country, I thought before that I’ll feel hot when wearing the attire. But I was wrong; in fact, the dress is comfortable enough to wear. There’s no annoying heat and itching. The store offers only one color: light blue. I like the offered shade of blue. The price is $16.99. Once you see and wear this dress, you’ll agree with me. It’s a proper and inexpensive price – a good value of money. 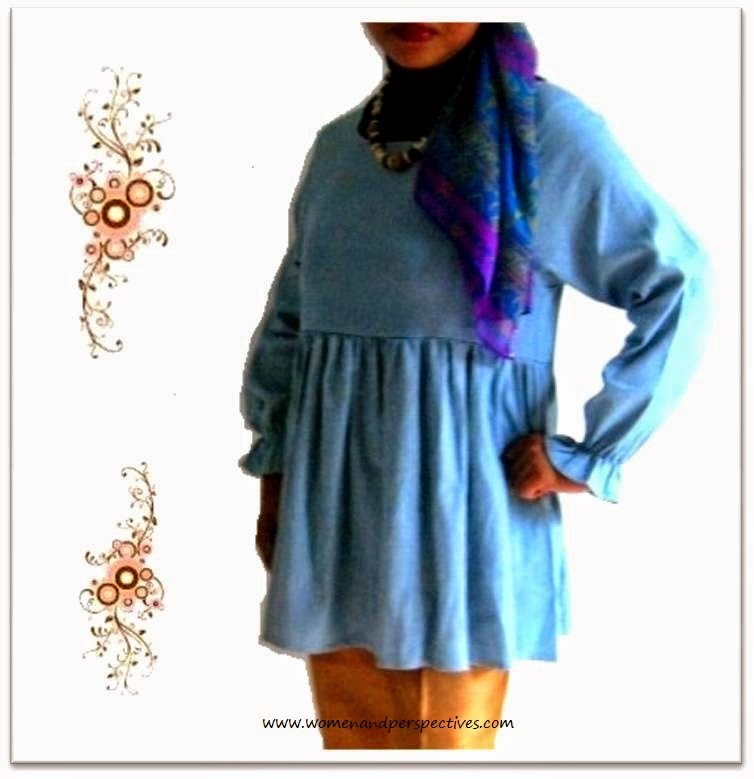 The mini dress available in only one size and it can be used by plus size women like me. My most outfits are in L or XL sizes; this dress still feels loose in my body. When choosing clothes online, the mentioned measurements on the product description are very important to consider. I love fashion stores that offer various stylish options for plus size women! The dress type is a princess style mini dress with pleated skirt. The wrinkle accents on the bottom of the long sleeves add feminine touch to the dress’s look. For me, the dress is simple, casual yet still feminine. It’s neatly made from quality material. Though it’s a mini dress, you can use it as a top –like I do. If you prefer to cover your legs, you may combine it with your favorite pipe pants, solid tights, or leggings. Since the clothing is a simple cut, proper accessories can enrich your look more. So, you can count on the dress to enjoy your casual occasion comfortably. Unfortunately, W.S. Dear doesn’t provide the cleaning tips to keep the product in good shape. I don’t see the washing instructions attached on the dress as well. The fabric seems strong and durable; I think I can apply the washing tips for common cotton fabric. Besides the lack of cleaning guide, I have nothing to complain. I recommend the product based on its good Value, Quality, and Price. From one to five stars as the highest scores, I give four stars on each aspect. Now it’s your turn to visit W.S. Dear and find out other lovely clothes at affordable prices!